Camp is suggested for students 3rd grade through adult. ​$160./full week. The fiber days are 9-3 (Attendees should pack a lunch) snacks are provided. What is FARRR AWAY and What's with the 3 RRRs? 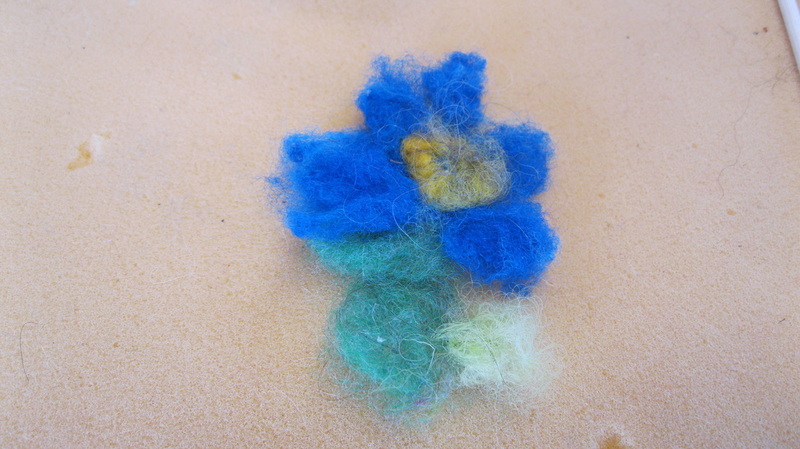 FARRR AWAY is the fiber arts component of Cabin Spring Farm. 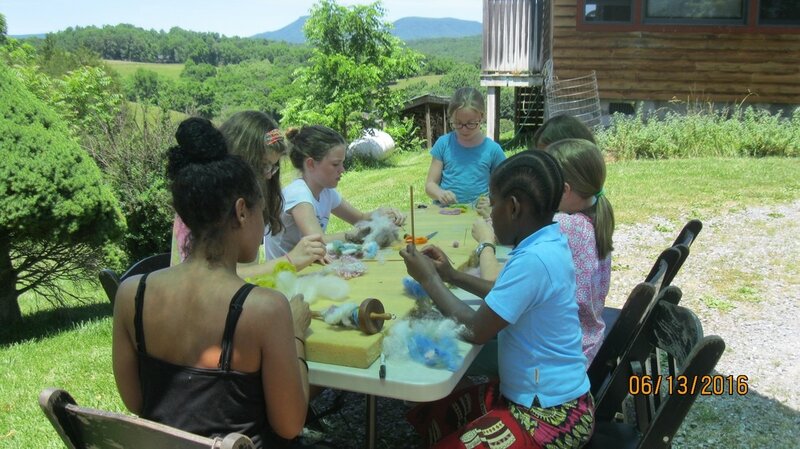 Fiber Camps, retreats,and Ruckus Days at Cabin Spring Farm are opportunities to explore the properties of wool and all the things that can be created with wool fleece and yarn. 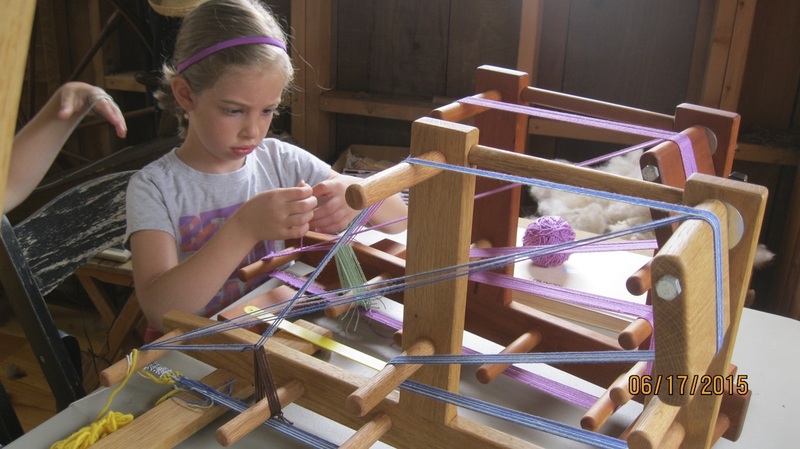 Cabin Spring Farm is a destination where knitters learn to spin or weave or fiber enthusiasts come to try it all. Custom Packages available from a couple of hours of exploration to weekend instruction with accommodations in an 1800's cabin. Summer Camps are coming up soon (week of June 4th and week of June 11th). Please register early on the registration form below. Sign up for individual days, whole week, or both weeks. 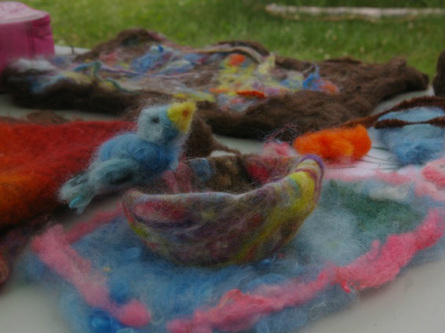 ​Spinning, Felting, Knitting, and small loom Weaving are some of the available class offerings at Cabin Spring Farm, and though learning new fiber techniques can be a challenge, this land abounds with artistic inspiration and is a peaceful place to laugh and learn.